I saw during a demo at the Odoo Experience that it was possible to add ad-hoc reminders (not related to a specific document). For example, I can remind myself to pick up my kids from school. 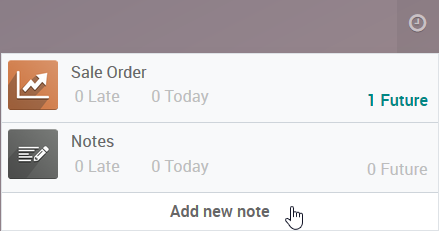 Allow people to add personal reminders in Odoo using the Notes application and the Next Activities modules (ie: lunch with colleagues, call mom,...).